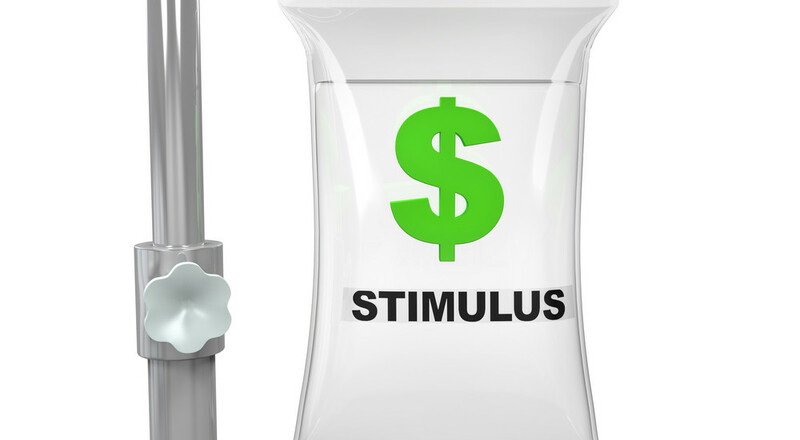 Did Stimulus Spending Avoid a Depression? There has been a mantra emulating from Washington that the stimulus package avoided a depression. This dogma is presented as if you say it enough it will be believed. What lies behind this attempt to chant instead of demonstrating and proving? Ask yourself, if a stimulus spending package by the government can prevent a depression then what could a stimulus package do for a stagnant economy? Would not a stimulus applied to a stagnant economy “stimulate” it to perk up to above normal activity? By the logic of the White House and the lackey Congress, government spending is beneficial yet looking at the books we see the debt of 19 Trillion dollars is the only measurable result. Whenever the economy is stagnating according to the government spending will stimulate it to grow. Looking at what the stimulus money was spent for ( bailing out failing companies and debt ridden state governments) you have to ask yourself, how does such spending affect the profits from the private economy which funds the government coffers from taxes? It doesn’t help, Bailing out state governments only allows them to avoid cutting back on their spending which requires taxes in place to continue without relief. Bailing out incompetent failing institutions only takes from the productive and transfers money to the incompetent. So how does government spending help the economy? The answer is government spending is a drag on the economy whenever it is instituted. When examining what government is instituted for, clearly government expenditures are only effective when dealing with safety and security of the citizens. As such the government is an auxiliary agency that functions to protect those who produce and trade. Any interference with this process either by crooks, foreign invaders or the government itself will disrupt and distort the process of production and trade that is the economy. Government spending is not something to be used to stimulate the economy because first it does nothing to help production and trade and second it is only justified when the safety and security of the nation is threatened. Failure of financial institutions is not a threat to the security and safety of our nation. Banks come and go and if they are not forced to abandon the principles they must operate on for some political whim they will operate in a fairly stable manner. 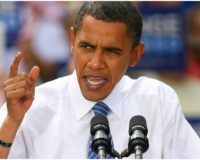 President Obama recently tried to blame the banks for the crisis saying they were trying to make a quick buck. Banks that have been in business for decades are out to make a quick buck? Banks are all about assessing risk. Talk to a banker and ask for a loan for some risky venture and see the kind of response you get. At this point I invariably hear the argument that the big corporations, bankers and powerful government officials operate under different rules and conditions than the experiences of we lower citizens. This is nonsense. The same principles of risk necessarily prevail. There may be favoritism ( or lack of it) just as there is in smaller transactions but the essentials are the same. A borrower seeks a loan. The lending party assesses the risk of lending the money and the loan is either made or denied based on whether the borrower can be expected to pay back the loan in a reasonable time and at a stated rate of interest. When the government steps in with a political agenda and demands other than this fair trade principle you get the equivalent of “ if you don’t do as I say I’ll punish you. This what happened in the C.R.A debacle that forced bankers to make loans to people that could not pay back the loans. Likewise when money is cheap and the housing market is growing the house flippers are encouraged to get in on the profits. This is why artificial “stimulus” movements by the government create distortions that blow up when the market drops. The boom in housing fueled by cheap housing loans caused builders to expand. When the realization emerged that there were too many houses on the market and not enough buyers the price of housing had to drop. Why were there too many houses and not enough buyers? Because builders had many would be buyers wanting houses built because money was available from the banks that were forced to lend by the government to poor risk borrowers. When the foreclosures started to balloon the banks found themselves in trouble and the government stepped in. Sure there were bundles of bad loans sold as derivatives but that was a stop gap effort to cover what the banks had been forced to deal with. It was far more risky than simple house loans but what do you do when you are required to make risky loans and you are faced with a mass of foreclosures or an alternative that might delay your situation until the economy got better? Yes, the stimulus may have prevented a run on the banks but who staged the situation where banks would be faced with not having the reserves to cover such an event? If banks were allowed to lend as they do without interference in a free market there would be no distortions by the government that would require government bailouts. The government talks about prevention of similar circumstances yet moves to continue and amplify the same process that is bound to create more imbalances. Look at the unemployment rate and what the government is doing to reduce it. They have instituted a minimum wage law that makes some jobs that could have been offered to be too expensive. They have increased unemployment collection periods to make it possible for more people to simply avoid looking for work or accepting work they would take if they weren’t making more on unemployment. Both of these efforts to lower the unemployment rate are working to sustain it. Why does the government not understand this? The reason the government keeps making steps in the wrong direction is because of what government is. It is the nature of government to deal in force as that is what it was created to deal with. Consequently when the government acts outside its assigned task and interferes with the economy it must use the only method it knows. It must restrict, confiscate, subsidize, tax, and disrupt. It knows not how to create a profit because it only operates on an ever expanding budget that theoretically can be balanced but usually never is. Without a profit motive there is no need for concerns with proper accounting, competition or debt. Having the power to tax gives the government the illusion it can never go broke. When government expenditures exceed tax revenue then the government must borrow to meet its expenditures. When the borrowing can no longer be sustained because of reluctant lenders then the only alternative is debasing the currency by printing money that becomes worth less as it floods the market. This phenomena shows the government understands nothing about markets or economics regardless of the number of economic guru lackeys it has on staff. If the government were to flood the market with potatoes, if in fact it could grow any, it would soon see that the price of potatoes would be nothing. The same thing happens with money the government can print and distribute. The market is all about supply and demand. The government is all about power and control. People trading are operating voluntarily to offer and obtain goods and services. That is not the way a politician operates. Politicians operate under the idea that if I can get enough voters to vote for me I can gain or keep my office and my power. So they offer promises which are often in conflict with other constituents and they must pick and choose which group has the most power to reelect them. This has nothing to do with production and trade. Production and trade are merely vehicles the politicians tax. Since production and trade are necessary for humans to obtain goods and services it is a natural target for politicians to tax. Whether politicians should be allowed to tax is a question that needs serious consideration. Since they abuse it and have since the beginning of time there is no historical evidence that it is necessary or desirable. The argument they present that nobody would pay for the government voluntarily folds up when you look at the amount of money that is voluntarily stuffed in to political campaign coffers. Fund raising is what all successful politicians excel at so why should they be afraid to rely on voluntary contributions to run the government? Besides if the government were excluded from disrupting and distorting the economy just how much money would the government need in it’s newly restricted role. With the ensuing prosperity and stability that freedom would provide there would be plenty of voluntary contributions to run the government and safety and security would still be a necessity for citizens. No, my friend, the government did not prevent another depression but it may have created the seedbed for the greatest hyperinflation era in the history of America. It certainly did not put in place any form of “control” that will establish stability and prosperity. Here is another point to ponder. The government has grown in power and influence, yet the concern of the next generation living below the standard of today has only emerged in the years that government expanded. The debts of Social Security and Medicare alone are eating up government money at an unsustainable level. How will the government sustain the unsustainable? It won’t and it can’t. Just as it cannot and has not prevented a depression.